VGX event was full of game news, but also of eye candies. Lots of different beautiful videos were presented during the show, but The Witcher 3 trailer, in our opinion, was among the most exciting ones. And of course, we are glad to share it with you. 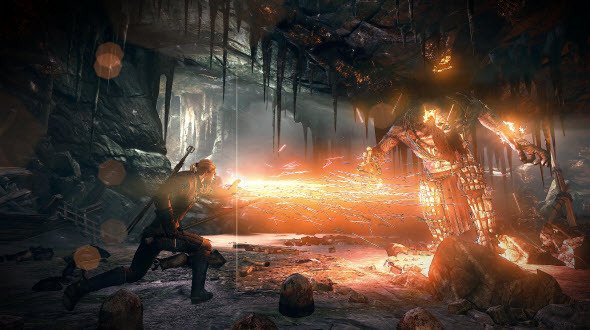 The Witcher 3 trailer shows us a glimpse of the game's plot and tells several details about the project. Thus, according to the video, in the new part of the Geralt's adventures you will be able to explore the huge open-world that is divided into various regions. The world will be 30 times bigger than in the previous instalment, and its area will exceed the locations of highly popular Skyrim. Also the developers have told that the game will feature dynamic battles, in which it will be important to create the right tactics, but not only to learn the practical skills of combat. The beauty of the game's world and the fresh details about it are shown in the latest and really amazing The Witcher 3 trailer. Enjoy! The official The Witcher 3 release date hasn't been announced yet, but the game will be launched sometime next year for PC, Xbox One and PS4.